Ethnic emoji, money for homeopathy, character encoding, and sexist behaviour. Plus alien heads, visiting London, and unconscious bias. And QED is almost here… eek! 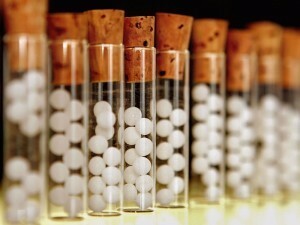 Donate to the Good Thinking Society Homeopathy appeal at justgiving.com/Good-Thinking-Society-Appeal. At every QED there has been a Skeptics in the Pub Forum – an open forum to discuss issues around the starting, running and expanding of a local Skeptics in the Pub group. Whether you are a current organiser looking to share your successes, or want tips on how to expand, or are looking to set up a new group in your hometown, this is the place to be. Ian Scott – Ian is the founder of Glasgow Skeptics, who in 2014 hosted the largest public debate on Scottish independence of any non-aligned organisation. Ian is also the Acting Chief Executive of the Humanist Society Scotland, and Events Manager at the British Humanist Association. Kash Farooq – Kash is an organiser of Nottingham Skeptics in the Pub and the co-founder of the popular PubhD network. Alice Howarth – Alice is a PhD cancer researcher, co-host of the Skeptics with a K podcast and Secretary of the Merseyside Skeptics Society. The forum will mainly be an open Q&A session, but if you have any topic that you’d particularly like to be covered, please leave a comment below and we’ll try to make sure it’s included during the discussion. Amber necklaces, brain rotting, Kangen Water, and cereal bars. Plus shoes, wasps, Shakespeare, and the greatest mistakes of history. Feeling contrite, it’s Skeptics with a K.